My name is Karolina and I co-founded the Green Bean Baby & Toddler Group and Parenting Community in Wantage, Oxfordshire 5 years ago. We are very proud to be affiliated with APUK. 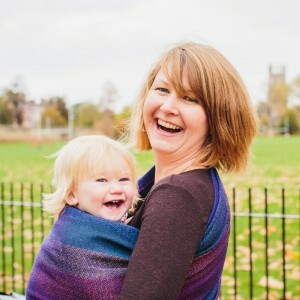 I am also a Sling Consultant and Hypnobirthing Teacher, and most importantly mum of two free spirited little people and wife to their Dad, Matt. Before I became a mum, I worked as a biomedical research scientist. Having children significantly changed my priorities but the scientist in me still likes to see good evidence. My parenting style is completely contrary to how I expected to be as a parent and The Green Bean group has become our much loved ‘village’ – a place were parenting can be simple and instinctive, a place to explore and reflect and be supported with evidence to make informed choices receive kind, warm-hearted support and genuine love from like-minded parents.